Preparation for an ICO is not only about packaging of the product, but it also involves promotion. 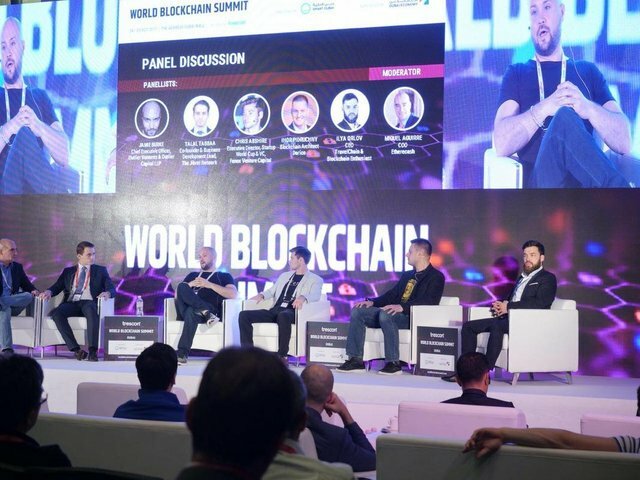 TravelChain team is perfectly represented offline, it visits the most important events dedicated to blockchain technologies and cryptocurrencies. The team's members appear at many venues, they talk about the project, answer questions, make new contacts. In the TravelChain offline section you can find detailed reports on the events, reports on the project presentation to the audience and other interesting details of the brightest events in blockchain sphere. 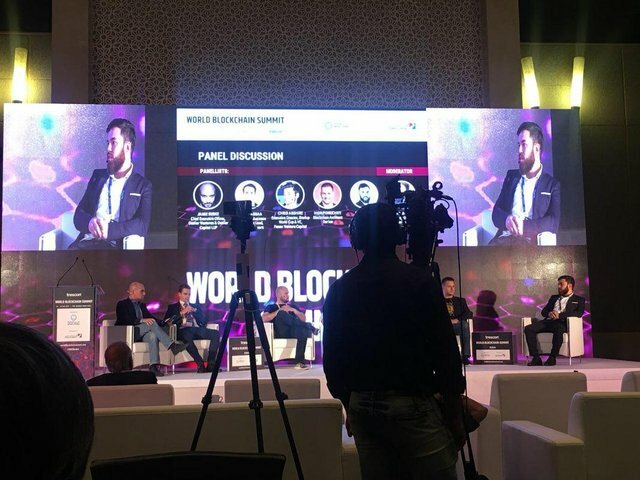 The most remarkable event of the second day in Dubai was a speech given by the TravelChain CEO, Ilya Orlov, at a panel discussion on the blockchain introduction into various business areas. The project presentation drew a vivid response from the audience and caused a fascinating discussion which flowed into a spirited and hot debate. It was a very busy day for our colleagues. They expected that after the first day there would not be so many events, as it usually happens at similar events after the first day. However, in Dubai everything went differently. There were a lot of contacts and negotiations made, new people had conversations with their colleagues and acquaintances who gladly joined debates. The discussion involved different participants: from private investors interested in blockchain to large corporations and some power structures representatives. As Ilya Orlov said the participation in the summit was a success, all the main tasks were accomplished. 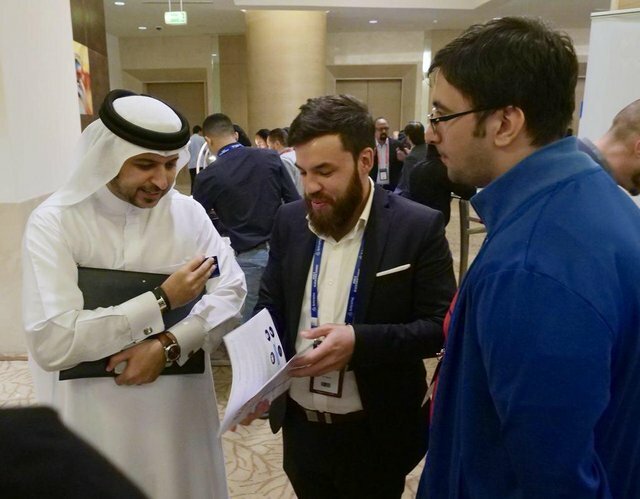 The first task was to meet with the Smart Dubai Government representatives, the so-called "e-government" — an organization for blockchain technologies research and implementation, which plans are to introduce blockchain to all spheres. The participants held a meeting, exchanged contacts and agreed to conduct further negotiations. 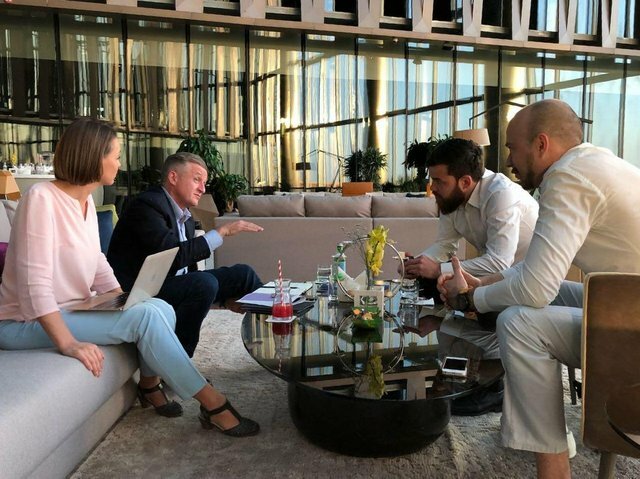 The TravelChain delegation held a scheduled meeting with Etihad Aviation Group CIO Robert J. Webb. 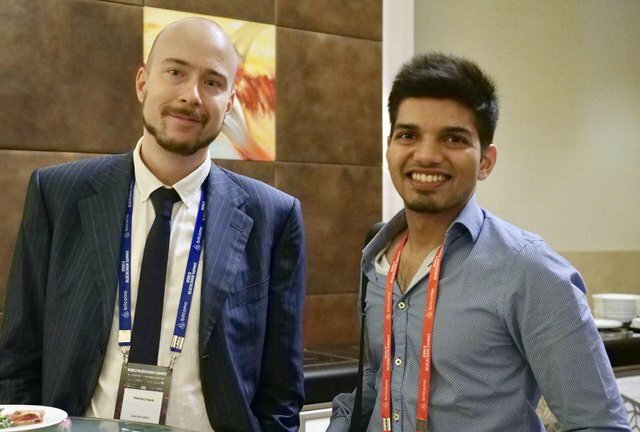 Robert gave a high rating to the project, showed great interest and willingness to cooperate. He took documentation to take a closer look and promised assistance in forming an advisory-board from actual top managers of international companies. The third task was to find connections with other startups to share expertise and discuss mutual cross promotion and search for investors. Cooperation agreements were reached with some services, such as copay.io, for example. Hours of negotiations with many investors led to that some of them, quite big, expressed a clear intention to take part in the project ICO. Our colleagues particularly noted the general positive feedback from the summit audience. Ivan Begunov, Head of PR TravelChain. The second day on Online Travel 3.0, where the project was represented by the co-founder Alex Soloviev and other colleagues, also was very full. 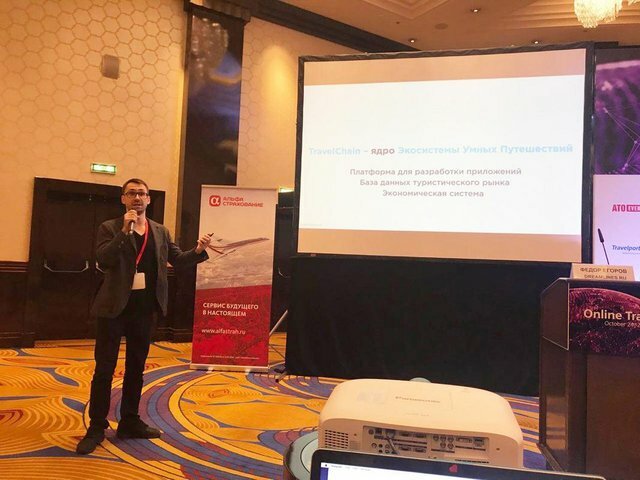 Roman Ufaev made a presentation of TravelChain and talked with the audience. Here as well, the team had a lively feedback. Many questions arose about using traveltoken in the system. The TravelChain delegates took part in two panel discussions, one of which was devoted to the future of the travel market, and the other one was a platform for startups representatives’ speeches. TravelChain stood up for the values and prospects of the blockchain industry. Some business representatives had doubts about the possibility of a decentralized system creation. For example, the Aeroflot representative voiced an opinion, "There is no problem with the trust inside the system, the players trust the market. Tell me exactly why the decentralization is needed, and how, in general, the players are going work together." 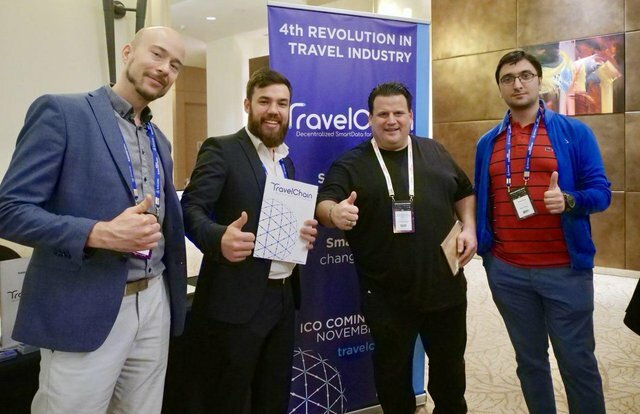 At the event, the TravelChain team members had been actively communicating with the participants of the conference, exchanging contacts. They agreed on meetings with potentially interesting partners, in particular, TUI. 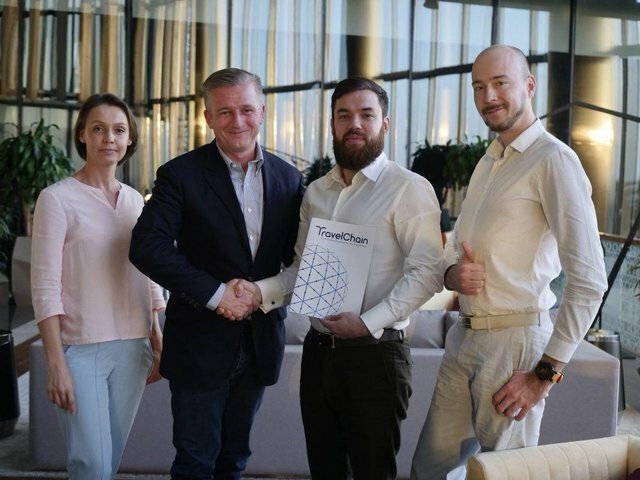 TUI representative Leonid Pustov took an interest in cooperation with specialists who are ready to implement blockchain technologies in the market. Also, the team appointed a meeting with the representatives of an accelerator supporting tourist startups. The TravelChain team delegates was satisfied with the results of the conference, but there is no time to relax, because Russian Blockchain Week is coming soon. We will keep you updated on this event in our next publications. If you want to take part in an ICO than visit TravelChain.io and leave your email on the main page! We will keep you updated.